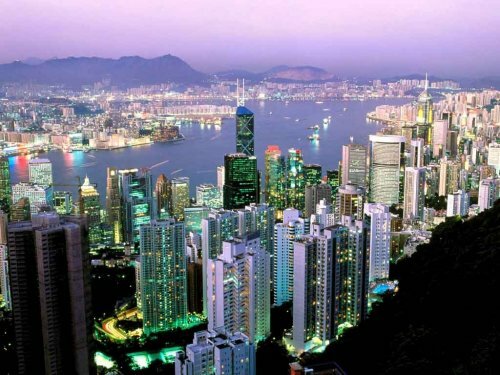 While Hong Kong is internationally famous for its shopping, dining and entertainment, not so many people are familiar with the attractions it has to offer to families with kids, which is a shame really 'cause this world-city has many family-oriented attractions, other than the obvious Disneyland. It is the world's smallest Disney Park, but nonetheless, it is really cute and well recommended. Tip: You can easily cover Hong Kong Disneyland in a day, so there is no point in staying there overnight, unless you want to see the fireworks. As its self-explanatory name suggests, ocean-and-sea attractions are the main draw here, including a fantastic sharks-aquarium, dolphin shows and a particularly good jellyfish display. Other than marine attractions, the park boasts some impressive roller coasters and other exciting rides, including a very scenic cable-car ride. Two Tips: Ocean Park's mountainous terrain is not comfortable for those who push a baby pram (to say the least), and most of the rides are not for small babies anyway). The park's Dolphin encounter program is well worth thinking about, but you have to book well in advance. Noah's Ark is a fantastic attraction for kids and adults alike, featuring an exact full-size replica of the biblical vessel that saved life on earth from extinction, during "the flood" (including life-size sculptures of all those animals that entered the ark). Other than an excellent multimedia presentation about the biblical story, the centre boasts all sorts of educational activities, related to mankind and nature, as well as an adventure rope course. The park can be accessed by ferry, from Central. The Hong Kong Space Museum and Hong Kong Science Museum are ten minutes walk apart, in Tsim sha Tsui, and are both very interesting for kids and teenagers, as they boast plenty of interactive exhibits and touch screens. The Space Museum is home to one of the world's best planetariums, while the science museum displays one of the world's largest 'energy machines', demonstrating how the energy of a falling ball can be used in various ways. Hong Kong Zoological and Botanical Gardens are not among the world's best zoos (although they are among the oldest existing ones), and although the collection of animals is not "amazing", it is still worth visiting, both for the beautiful landscape and for the unique reptiles. Edward Youde Aviary is just a few minutes walk away, in Hong Kong Park, and boasts an impressive collection of birds, including many that are indigenous to Southeast Asia and the Far East. The Peak Tram Lower Terminus, in between the Park/Aviary and the Zoological and Botanical Gardens, is where you can board the famous Peak Tram and climb with it to Victoria Peak, where you can visit the city's Madame Tussauds, with its wax mannequins of famous celebrities. You can also go up to the Sky Terrace, from which the young ones can enjoy spectacular views of the city and its surroundings, with a big binocular. The 5.7 km cable car ride from Tung Chung town, up to Ngong Ping 360 and the "Big Buddha", is a fun experience that kids will probably enjoy, just as much as their parents. In Ngong Ping 360, there are some "Buddha-themed" activities for the young, like The Monkey's Tale Theatre. Sandy beaches are possibly the last thing that comes to your mind when thinking about Hong Kong attractions, but the territory boasts some absolutely fantastic beaches with great facilities. The best beaches can be found in Repulse Bay, Deep Water Bay and Stanley, on Hong Kong Island (the beaches in Shek-O and Big Wave Bay are also outstanding but are not as easily accessed), on Lamma Island, Lantau Island (Cheung Sha Beach), and Sai Kung Peninsula. Try to avoid weekends and public holidays, as the beaches are chock-a-block with local residents. Roni Shwartz is a certified travel consultant and an expert to the cities of Hong Kong, Macau and Singapore. He writes for http://www.metropolasia.com/ - The ultimate online-guide for travel, dining and lifestyle in Hong Kong, Macau and Singapore.